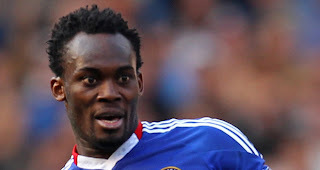 Michael Essien has declared that he expects to still be at Chelsea next season after being linked with a move to Inter Milan. Speculation emanating from Italy and Ghana has suggested that Essien could be on his way to Inter this summer following a disappointing campaign at Stamford Bridge. However, the midfielder maintains that he knows nothing about the reported interest and is staying focused on performing as well as he can for the Blues. Having missed out on silverware this term, Essien hopes to help Chelsea enjoy success on the domestic and European stage over the next 12 months.